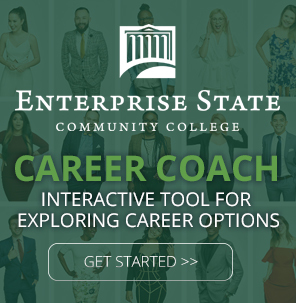 The ESCC Office of Public Relations works to promote Enterprise State Community College in the community, state, and region. Duties of the office include writing press releases and feature stories about ESCC, handling special events planning and coordination, legislative/governmental affairs, and writing and producing special publications. The Office of Public Relations assists faculty, staff, and student organizations in developing news releases, media advisories, and event promotion. Faculty, staff, and student leaders should contact the Public Relations staff to coordinate all releases to the media and the public. Submissions for external release (press releases, media advisories) should be directed to news@escc.edu.